Paisley Fireworks Spectacular is back with a phenomenal pop-tastic fireworks display in the town centre on Saturday 7 November. The pop-fuelled display will go up with a bang to the sound of pop music at a new time of 7pm, allowing for an extra hour of spectacular entertainment before the big finale. The excitement kicks-off at noon when the Clyde 1 DJs take to the main stage on Gauze Street to introduce an afternoon of music and live entertainment. The big line-up includes Paisley band Lemonhaze, an experimental indie four-piece band known for their unique sound and Glasgow band The Archers. Local young musicians, supported by Create and Hit the Road, will also perform on the stage from noon. 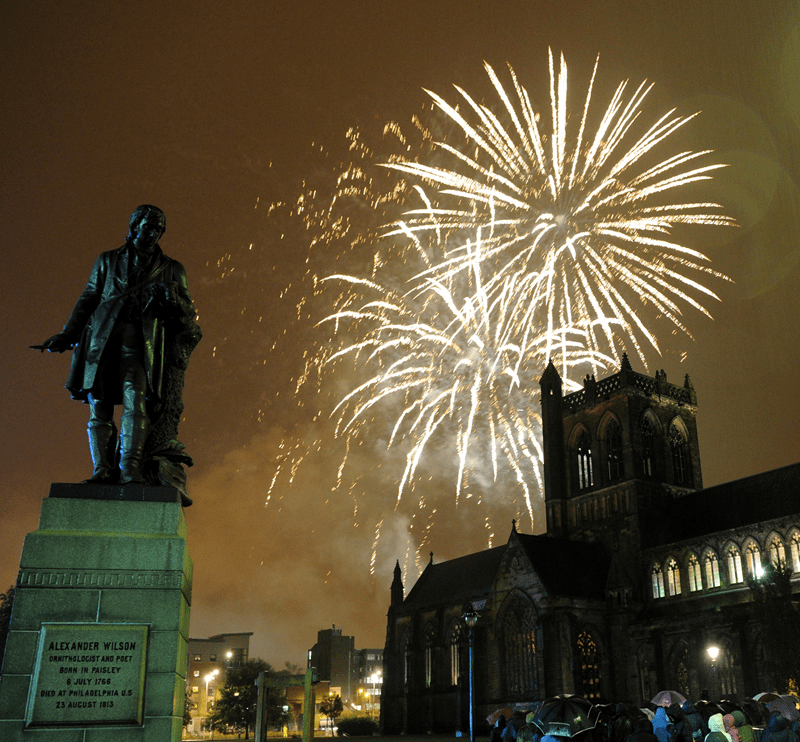 This year the fireworks will be launched from the top of Renfrewshire Council’s headquarters on Cotton Street, with the best views for the public in the area around Abbey Close and Gauze Street. Other attractions on offer include a funfair, while there will be face painters and street entertainers out in the town centre during the day. Residents should be aware there will be a series of road closures implemented from early on Saturday morning onwards in the area around Gauze Street, Cotton Street and High Street, with parts of Seedhill Road and Causeyside Street to be closed from mid-afternoon on Saturday until after the event. Mill Street will also be closed temporarily between 6.45pm and 8pm to ensure the safety of the public but with minimal disruption to traffic. 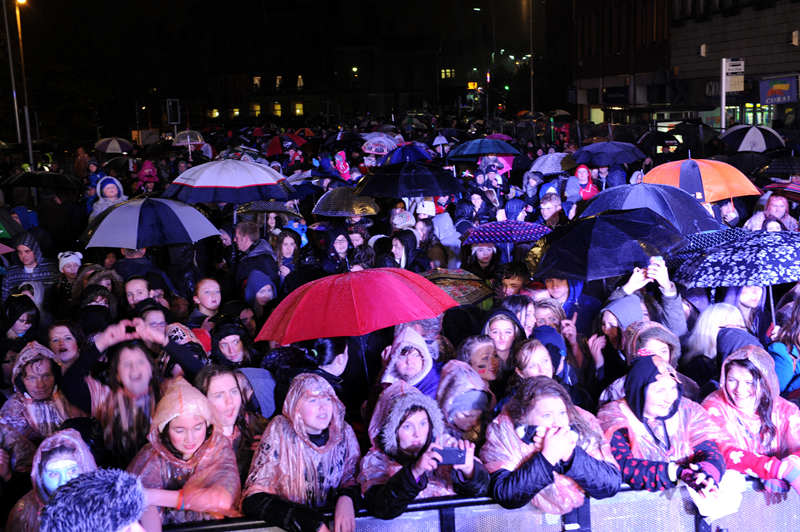 Paisley Fireworks Spectactular is part of the push towards Paisley’s bid for UK City of Culture 2021 and is one of many events in an exciting winter events programme, with the Paisley Christmas Lights and UK City of Culture bid launch the following weekend on Saturday 14 November headlined by 2014 X-factor winner Ben Haenow. Council Leader Mark Macmillan said: “The annual fireworks display is an established family favourite and usually attracts a crowd of tens of thousands. “We have another bill of top-notch entertainment lined up for this Saturday ahead of the spectacular fireworks finale at 7pm. With a new launch pad – on top of Renfrewshire Council buildings on Cotton Street – we hope more people than ever before get a fantastic view of this stunning display.